You are here: Home / Is It Paleo? / Are Healthy Oils Paleo? Yes. Healthy oils (meaning those that are unprocessed, unrefined, and compromised of essential health-promoting fatty acids) are paleo. 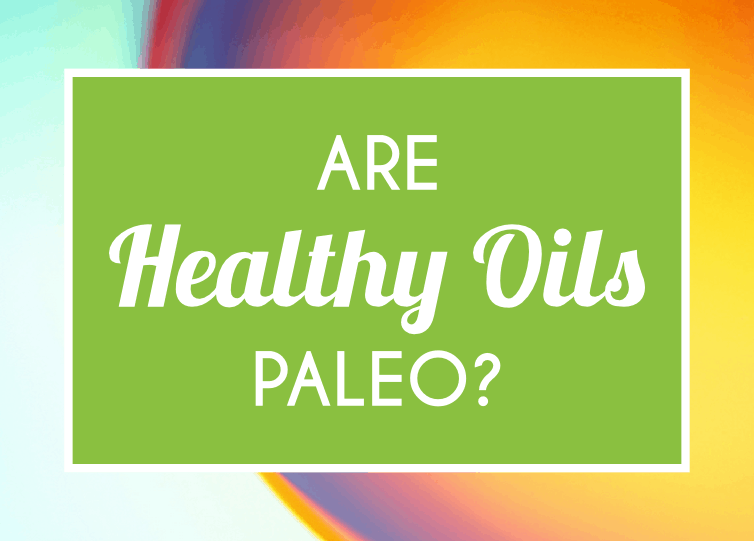 Why Are Healthy Oils Paleo? Is There Any Confusion When It Comes To Healthy Oils Being Paleo? So Are Healthy Oils Paleo? Oils can certainly be confusing and the options overwhelming at times. Never before have so many different types of oils been available. These days oils are being derived from numerous foods, including flowers, nuts, grains, beans, and coconuts. When determining which oils are actually healthy (and therefore paleo-approved), the paleo diet considers a few key things: how unprocessed and naturally occurring the oil is, the ratio of fatty acids in the oil, the practical uses for the oil without it becoming toxic and oxidized, and, of course, its effect on the human body. Bearing these factors in mind, the healthy paleo oils are: olive, coconut, macadamia, avocado, and most walnut and flaxseed oils. One thing that all healthy oils have in common is their beneficial effect on the body. Healthy oils and fats are an essential part of every diet, because they enable the body to actually absorb and use the nutrients in many types of foods, including vegetables. Without enough healthy fat in a diet, brain function, metabolism, hormone levels, and mood can suffer due to malabsorption of important nutrients. 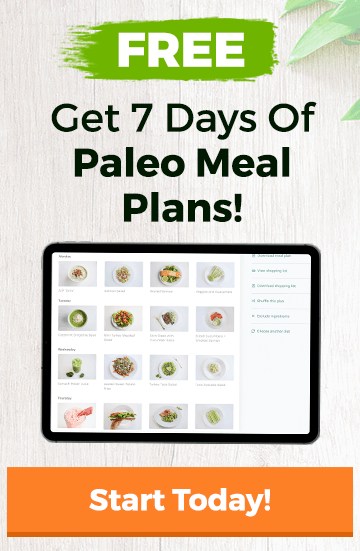 For those who follow the paleo diet, fat is often the main source of energy that is burned off by the body easily and efficiently. This means fat will not literally make you fat, so do not be confused! High quality oils and fats are not to be feared, even if weight loss is your most immediate goal. Different oils bring different health benefits. For example, coconut oil has been found to have antimicrobial and antifungal properties. Flaxseed oil contains omega-3 fatty acids. Omega-3 fatty acids are crucial for many bodily functions including cholesterol health, brain function, reducing inflammation, energy maintenance, and much more. Healthy oils like flaxseed oil can be a great source of omega-3 fatty acids, which are harder to come by than their counterpart, omega-6 fatty acids, especially if your diet is not so great in general. Balancing your intake of these two kinds of omega fatty acids is critical in keeping your body healthy, so obtaining omega-3s from healthy oils is a big plus. Healthy oils are derived from food sources that naturally have oils present in them and that require little to no processing to extract and bottle the oil. Therefore, a good rule of thumb when choosing an oil is to consider the actual food that the oil is coming from and to ask yourself if the food seems like something that could be turned into oil easily. In other words, while something like a nut, a coconut, or an olive obviously contains fat and therefore oil, the same thing cannot be said for flowers, grains, and corn. Keep in mind that, to extract oil from a vegetable or grain that does not have a lot of fat it in to begin, you have to use a highly complicated process that involves chemical solvents that are heated to high temperatures, and often genetically modified ingredients too. The processing period is long and done under conditions in which the oils are very likely to oxidize. This occurs when an oil is heated to the point that it becomes rancid or toxic, meaning many of the oil’s benefits (if it even had any) are lost. Healthy oils do not require such processing or mixing with solvents and chemicals. Different healthy oils are best used at different times, depending on their smoking points and the temperatures at which they become oxidized, or rancid. For example, coconut oil is great for roasting things at high heat, while extra virgin olive oil is a good choice for drizzling onto your food. When cooking with high heat (roasting or frying), use coconut oil. Coconut oil can withstand higher heats due to its high saturated fat content, so it is able to maintain its structure in the process. When cooking at medium/low heats (light pan sautéing), use olive oil, avocado oil, or hazelnut oil (some also like to use pistachio and sesame oil). When drizzling oil onto food, use extra virgin olive oil, flaxseed oil, avocado oil, or hemp seed oil. These oils oxidize easily and should not be cooked with. When purchasing healthy oils, you always want to look for the highest quality and least processed kinds. Buying organic oils is also a big plus. Many times oils can be found in expeller-pressed form, meaning the oil was literally squeezed very powerfully out of the source (the coconut, olive, or nut, for example) but no complex chemical process needed to take place in order to produce the oil. Expeller-pressed and extra virgin oils are the best types to purchase and consume for this reason. Yes. There is often confusion about which oils are considered healthy and paleo and which aren’t. There are many types of oils on the market, some which may sound healthy because they come from otherwise healthy foods, like vegetables and nuts, however, this doesn’t necessarily make an oil good for you or a part of the paleo diet. The vegetable oils listed above are not paleo for a few main reasons. They don’t have an ideal ratio of fatty acids. They are highly processed. They require the use of many harmful substances during the manufacturing phase. Some types contain oxidized molecules that are toxic and destructive once cooked with and ingested. While most vegetable oils are not considered to be healthy, avocado oil, coconut oil, and olive oil are the exceptions to this rule. Coconut, olive, and avocado oils are all perfectly healthy and are therefore paleo. This is because they have a more ideal ratio of fatty acids and because they are far less processed than the other types of vegetable oils. Yes. Although it depends on exactly which type of oil you are referring to. Healthy unrefined oils include coconut, olive, avocado, flaxseed oil. It does say it’s refined, but it is organic also. I’m sure the extra virgin coconut oil is Paleo, but I don’t want the coconut smell and taste. Yes it is. Virgin is better, but do the best with what you have.